Joanna Hope Wide Leg Trousers is rated 4.0 out of 5 by 1. Exclusive to us - Joanna Hope. 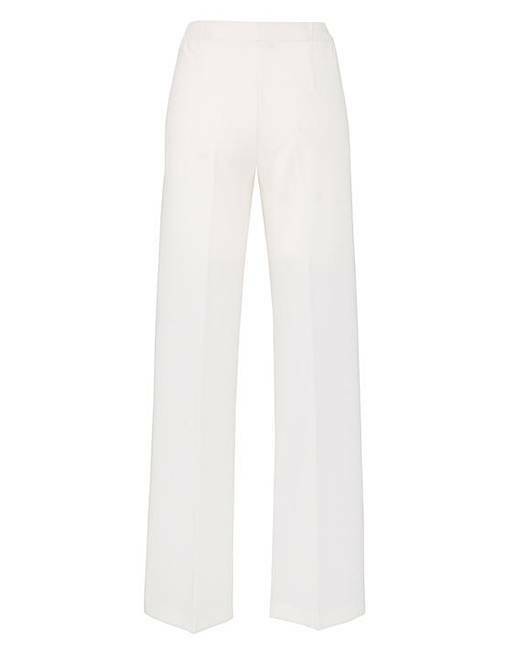 These wide-leg trousers will make a fabulous addition to your wardrobe. In supersoft stretch fabric they look great dressed up or down. Available in 3 great colours. With partial elasticated waist and zip front fastening they are a must-have piece for your wardrobe.